Sometimes there’s no choice but a boycott, even if that means collective punishment for all — including the people you’re seeking to help. In snooker, a plant is when one red ball is played off another so that the second red ball ends up in the pocket. In practice that means that the cue ball must hit the first red ball at a very precise angle to enable it to propel the second red ball in the right direction. A plant is difficult to achieve, but when it works, it’s beautiful. 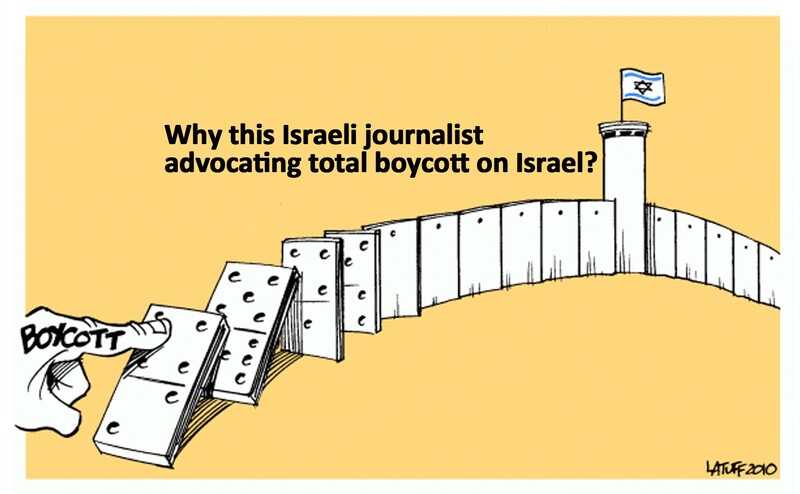 A successful boycott works something like a plant, though with none of the precision. Think of it like this: The cue ball is the boycott (or boycott campaign,) the first red ball is the public of the country being boycotted and the second red ball is the government of that country. The objective is for the boycott to motivate the public so that it, in turn, propels the government in the right direction. The plant is rarely a shot you play out of choice. If the second red ball (the government) can be hit directly into the pocket without the intermediation of the first (the population), that’s invariably preferable. But it’s not always possible. Either you don’t have direct sight of the second red or it’s not lined up for a pocket or it regards every shot you play as proof of global anti-Semitism. That’s the thing about boycotts: You would prefer to influence the government directly, but when it’s not possible, you play the plant. Of course, boycotts are a lot more complex than snooker, so there may be intermediate red balls or trick shots coming off the cushion. When a grassroots boycott campaign has no direct influence over either the government or the public of the target country, it must motivate those who do have influence — such as corporations, academic, cultural and sports institutions and, of course, their own governments and their agencies — to implement their own boycott campaigns. In the case of apartheid South Africa, for example, that meant influencing companies like IBM to stop selling systems and spare parts in South Africa, by threatening to boycott IBM products locally. IBM did just that, along with many other companies — and the indirect pressure worked wonders. Within only a few years, South African business began meeting outside South Africa with the leaders of the banned African National Congress and discussing the conditions under which apartheid could be ended. As in snooker, it’s a question of tactics and being able to calculate the angles. Governments on the receiving end of boycotts are typically highly ideological and not easily swayed. Think of South African apartheid or Iran’s nuclear project or even Russia’s annexation of Crimea. In all three cases, the boycott was ostensibly aimed at the government, but there was never any doubt that its effects would be felt by the people — including those, such as the blacks in South Africa, who are meant to be the beneficiaries of the political change intended by the boycotters. After almost 50 years of Israeli defiance and evasion, there is little prospect of diplomatic change. The prime goal of the boycott against Israel, therefore, is to persuade the bulk of Israelis that the occupation is not in their interests. And the way to do that is by focusing their attention sharply on what those interests are and how much they have to lose. It follows that boycotting only the settlements and their commerce, as many on the Israeli left suggest, makes no sense. They are not ideologically inclined to force the government out of the occupied territories and their numbers are insufficient. It is precisely those of us who have — or perceive ourselves to have — little personal investment in the occupation who should be targeted. For the occupation to end, Israel’s self-indulgent, apathetic and blinkered middle class needs a profound wake-up call — courtesy of the international boycott, divestment and sanctions movement. Unlike the snooker cue, a boycott is a very blunt instrument. It aims wide and it doesn’t discriminate between those who support the government and those who don’t. Everyone gets hurt equally. As such, it is unfair and it constitutes collective punishment. But before you get all hot and bothered about it, take a moment to think about who else is suffering collective punishment in this fair land of ours. Think about the 1.5 million Gazans barely surviving in the ruins of their open-air prison. Think of the uprooted Bedouin, the West Bank kids woken up by soldiers in the middle of the night, the crowds waiting for no reason at checkpoints, the 300-plus prisoners in administrative detention, the villagers who are evicted from their homes when the army wants to do a little live-fire practice. And I haven’t even mentioned the dead. The boycott means that we are going to get a dose of our own medicine for a change. Bring it on. Roy Isacowitz is a journalist and writer living in Tel Aviv and an editor at the English edition of Haaretz.